Fishing-Shooting UK is a sporting agency based in Appleby, Cumbria at The Tufton Arms Hotel run by Paul Zissler and Nigel Milsom. We offer free listings of available sport, holidays and accommodations linked to fishing, shooting and stalking. Do please have a look at what is available. We also offer specialist advice and assistance in putting sporting packages together especially for those of you who are just starting out and are unsure of how to go about it. It can be very intimidating organising pheasant shooting or salmon fishing and people often end up with something that is very expensive that they did not need or expect. We can advise you on different rivers and the best times to be fishing them or on different shoots and what quality of birds to expect. Accommodation is also very important and Nigel has an extensive knowledge of sporting hotels, large house parties and holiday cottages. For a few special clients we organise everything from the fishing, the accommodation, the chef's, the food, vintage wines from our cellars at The Tufton, tuition in speycasting and hosting of the event. A truly bespoke service. Our listings for owners of fishing, shooting, stalking or associated accommodations or services is free just email the details to us. Include good photographs. Commissions where applicable are based on 5% inc VAT from each party. Do please read our terms and conditions. 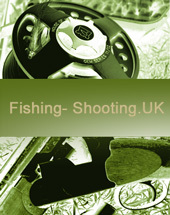 Fishing-Shooting UK the friendly sporting agents for organising fishing, shooting and stalking in England and Scotland. Delighted to announce that Hellbeck is once again going to provide top class partridge shooting in their valleys on the sides of the grouse moors. Days here could be combined with Whitfield to make a package and provides an exciting alternative to Grouse shooting to get your season started. Stuart is shooting on Wednesdays and Saturdays.